Interested in getting the latest news and updates about the recently announced Office 2010 Technical Preview, the first release of the new Office PC, mobile, and web-based productivity applications? If so, then there are a number of places across the social web where you can stay tuned in. 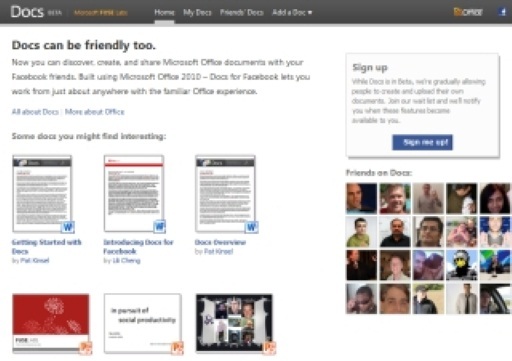 The Office 2010 team has a presence on several social networks, including Facebook, Twitter, YouTube, and LinkedIn. You can follow them or friend them on you network of choice – or on all of them, if you choose. Jobs You'll Want: Project Natal is Hiring!